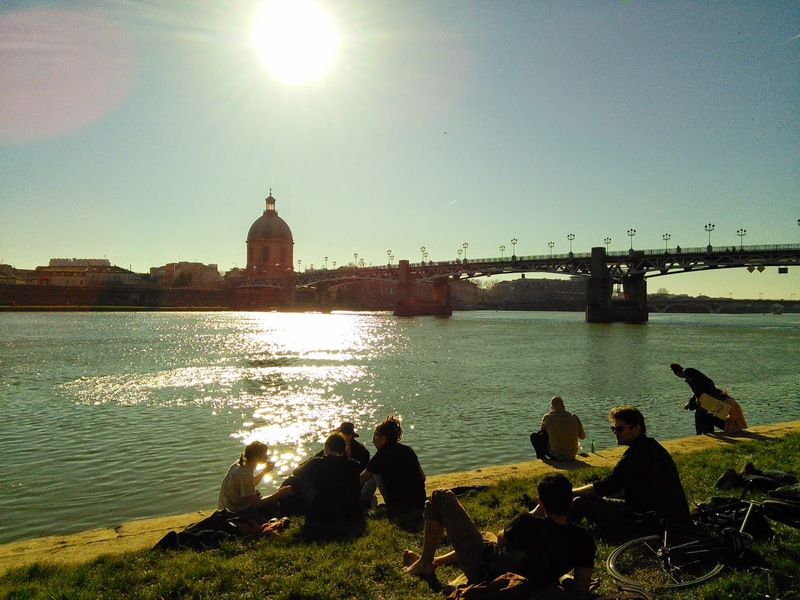 Another layer under the sameness layer is that there ARE folks here in Toulouse wanting changes and growth and are seeking it. •Juliet (their daughter) who is a young adult not wanting to just fit in, and shows us where to party in places that hold like-minded night-time socializers. • Sylvain (our housemate) who battles a similar subject of being a successful artist, still striving to prove to a government that’s decreasing its funds that an artist is providing something substantial to his community… a voice for new ideas; like gender, how does it affect our perceptions of beauty? • The graffiti artist next door TILT who battles the validation of his ideas of beauty in a city that doesn’t accept his work as “real” and legal art… or does it? I think the underground believes it is art because I noticed graffiti all over the city especially in the public park areas. It is so similar in Atlanta, the only difference is that the conversations are happening more here to accept this art, like with Living Walls who can/has made an agreement with the city to utilize certain structures to present graffiti art in a way that lines up with the vision of many. I think there is room for this in Toulouse as well. It’s just a matter of speaking up and listening in turn; being heard and then also being willing to hear. 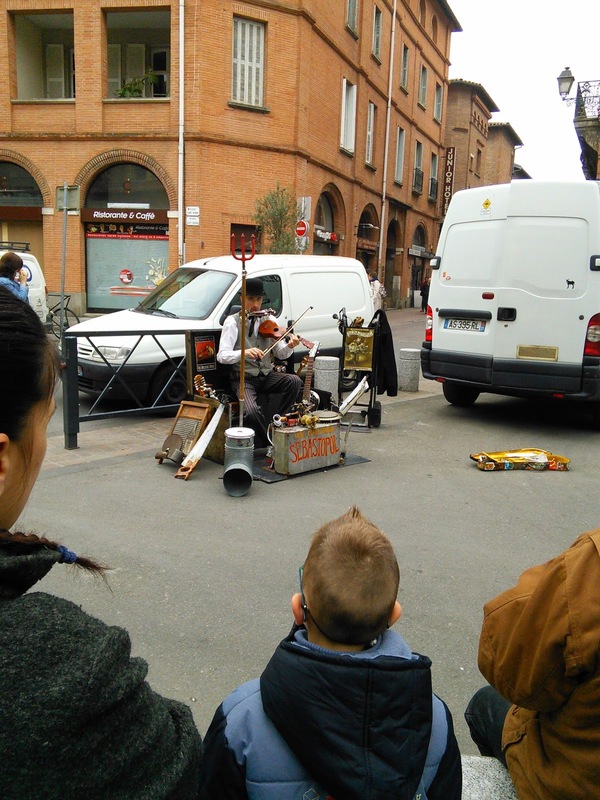 One of the many talented street performers, a one man band! 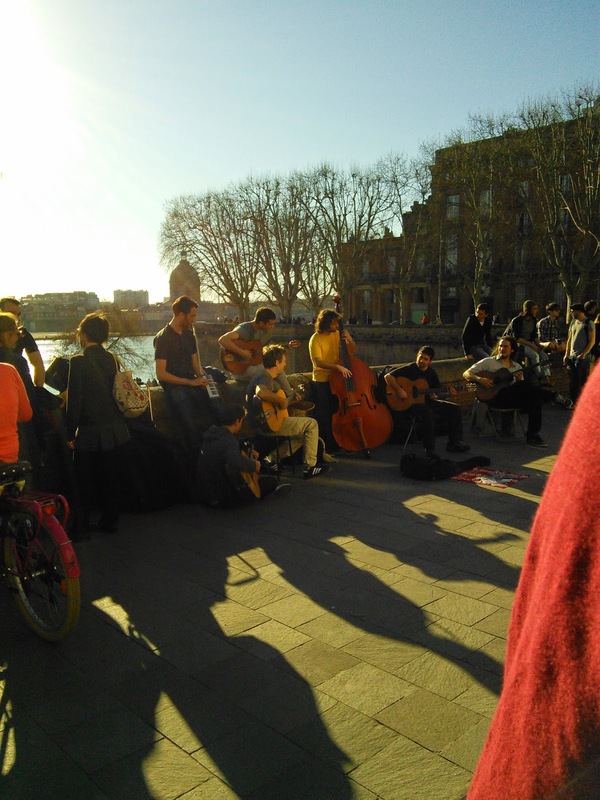 Best place for young folk to hang is along the Garonne River bank.